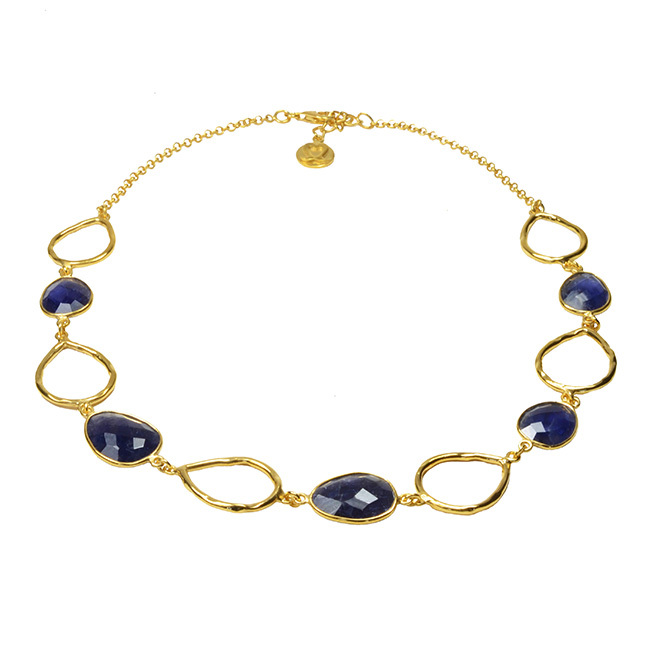 The Esme Necklace is handmade gold plated silver set with 5 pretty faceted oval Iolite, midnight blue, stones. 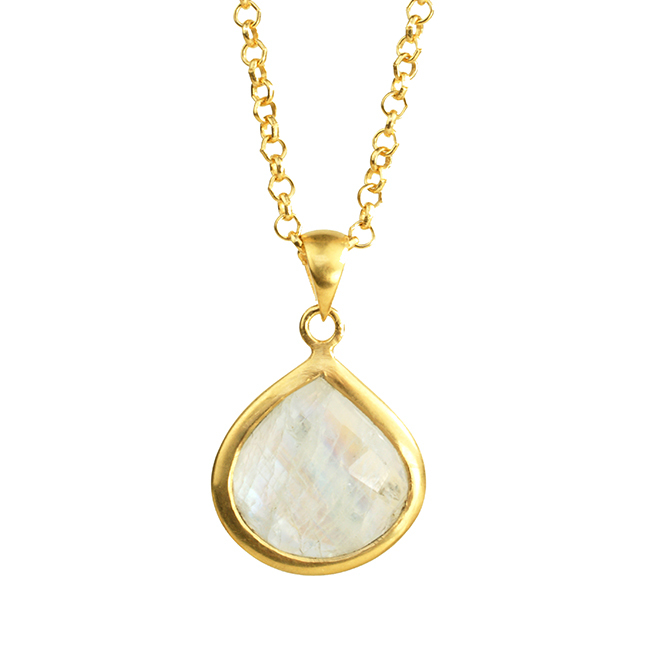 This lovely necklace is designed to set just below the collar bone. 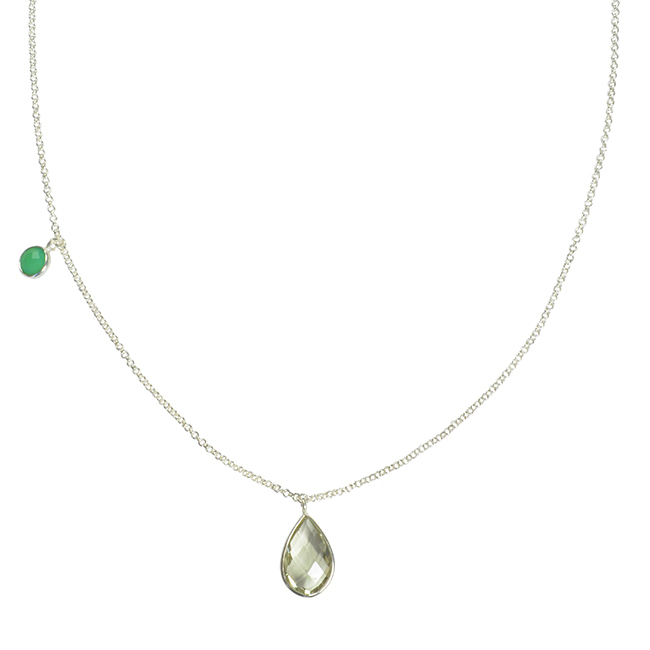 Length: 43cm with 6cm extension chain. 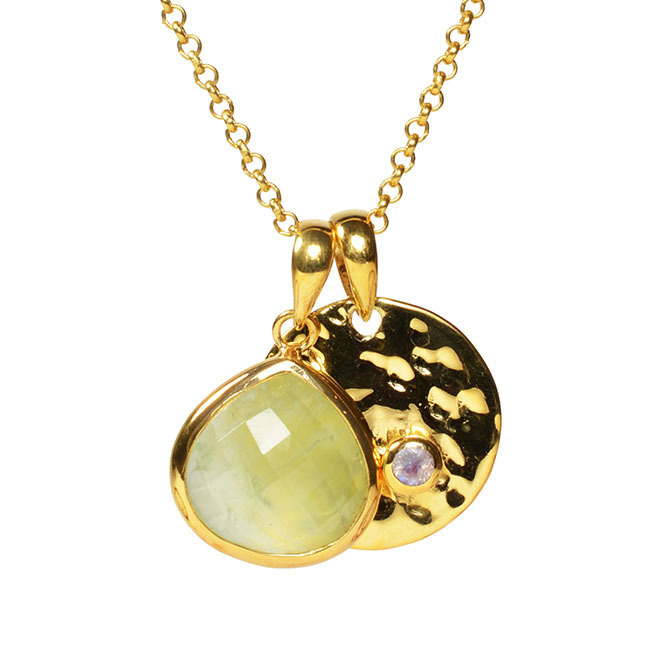 View more jewellery from the Esme collection.